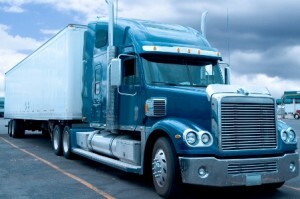 What is the difference between Business Auto Insurance and Commercial Truck Insurance? Barragan Insurance Agency provides the best rates on Commercial Big Rig Truck insurance. 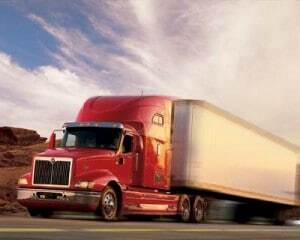 A Commercial Truck insurance policy is required under most circumstances when the vehicle is used for transportation purposes and meets certain other requirements. It is not just the registration that determines the requirement for a Commercial Truck insurance policy. Other factors are corporate ownership, use in hauling goods for hire, and gross vehicle weight of the vehicle. Some small trucks can be owned and insured under a commercial automobile insurance policy under specific circumstances. Barragan Insurance Agency provides the best insurance rates for big rig truckers – we provide insurance for owner operators, small fleets, large fleets, for hire truckers,semi trucks. We provide auto liability, motor truck cargo, general liability, physical damage, intermodal / container haulers insurance, and truckers workers compensation insurance. Get a free commercial truck, physical damage, and /or cargo insurance quote by filling out the quote form below or calling us at 916-984-9320. Driving down the freeway or when you have a wreck is not the time to ask yourself if your truck and cargo are properly insured. We can cover the small risk transportation companies to large fleet big rig commercial truckers. Barragan Insurance Agency insures all trucking risks. We make getting your commercial big rig truck insurance easy. We have you covered whether you have a single big rig truck used in business or a fleet of commercial trucks that travel across the country. We have partnered with a number of superior carriers to provide you the best choices possible for your insurance to cover your semi truck, big rig truck, cargo, the physical damage on your truck, etc. Our friendly staff will provide you with a competitive quote with the best insurance rates possible. We provide insurance for Commercial Trucks for local haul and long-haul trucking, Owner Operators, For-Hire Trucks, Intermodal (container haulers), Bobtail, and Trailer interchange coverages. We also provide commercial auto insurance for Tow Trucks, Non-Emergency Medical Transport, Public Livery, Taxicabs, School Buses, and Limo Services. Our big rig truck insurance is exclusively committed to the transportation industry. We Insure For-Hire transportation risks, Fleets, and non-fleet truck operations. We also insure Intermodal Container haulers. We are an independent brokerage specializing in transportation insurance with access to many top rated insurance companies that are unavailable to many of our competitors. Our commercial big truck insurance program provides complete insurance programs for the big rig truck market. Our area of focus is Small Fleet (1 to 25 power units) truck operation: local haul (intra-state), intermediate haul (11 western states) , and long-haul (48 States). We also have various markets for large fleets, small fleets, non fleet, owner operator, and new ventures. We have many different programs to offer Trucker’s. Our goal is to make the entire process go as smoothly as possible. We also write Buses, Non Emergency Medical Transport, Tow Trucks, Refrigerated Trucks. We have Small Fleet Truck Insurance for 1 – 9 units and Large Fleet for 10 or more power units. Eligible classes include: haulers of general freight, freight forwarders, container haulers, agricultural products and sand/ gravel . We offer a full package including auto liability, physical damage, cargo, general liability, and various property coverages. Applicant s for this program must be domiciled in California and may operate within all 48 contiguous states. We currently write risks that are domiciled within California with a radius that includes 48 states. Best cheap and affordable insurance rates on commercial big rig truck insurance for California on Low Cost, Affordable, Cheap commercial big rig truck insurance. Save money on truck insurance. Serving Sacramento, Port of Oakland, Port of Sacramento, Port of San Francisco, Central Valley, Folsom, Fontana, Riverside, Chico, Redding, San Francisco, Oakland, San Jose, Bay Area, Long Beach, Fresno, Los Angeles, Santa Ana, Santa Barbara, Anaheim, Fontana, Stockton, Modesto, Ceres, Patterson, Turlock, San Diego regions, and the Northern California region including Folsom, Elk Grove, Rancho Cordova, Carmichael, Antelope, North Highlands, Gold River, Fair Oaks, Woodland, Natomas, Sacramento, Redding, Rocklin, Roseville, Lincoln, Folsom Ranch, Loomis, Granite Bay, Galt, Natomas, Davis, West Sacramento, Citrus Heights, Orangevale, El Dorado Hills, San Pedro, Stockton, Modesto, Lodi, Merced, Tracy, Antioch, Dixon, Woodland, Fairfield, Vacaville, Vallejo, Marysville, Yuba City, Linda, Plumas Lakes, Chico, Bakersfield, San Jose, Campbell, Los Angeles, San Diego, San Francisco, Long Beach, Fresno, Oakland, Bay Area, Santa Ana, Anaheim, Placer County, Sacramento County, El Dorado County, Yolo County, San Joaquin County, Sutter County, Northern California, Central California, and Placer County, and other cities and counties within California.